-- Select a Size -- Medium - Out of Stock! Large - Out of Stock! 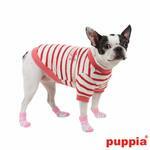 Add comfort and style to your pooch's paws with these dazzling dotted socks for dogs! 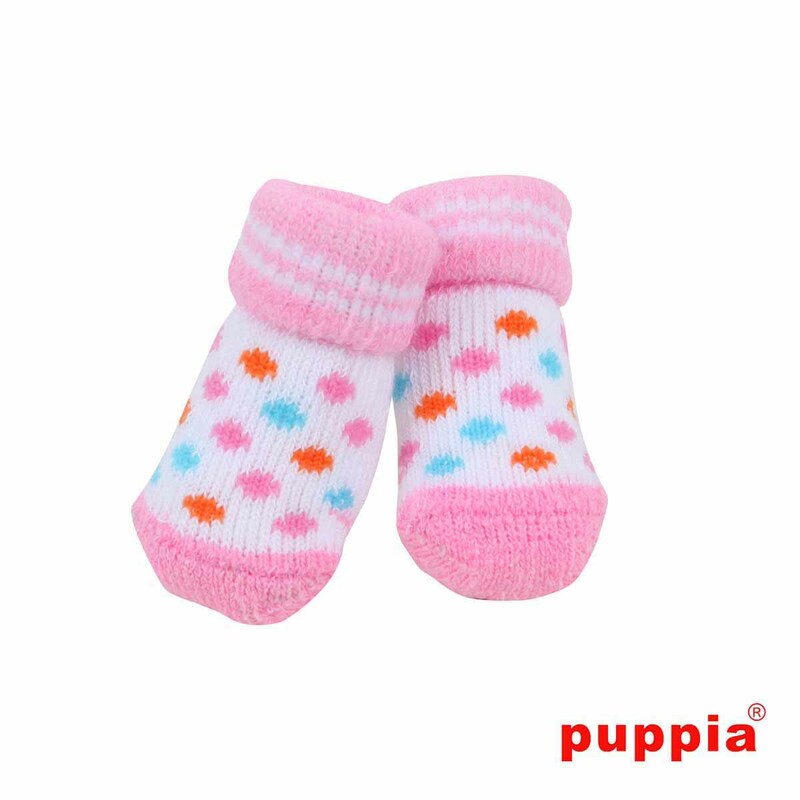 The Polka Dot Dog Socks by Puppia are made of Cotton 90% Polyester 8% Other 2% and are cinched in double sections for a secure fit. The convenient skid-free pads help prevent sliding on slippery surfaces. Check out the rest of our great dog socks! Small: Width 1.2" Length 3.3"
Medium: Width 1.2" Length 3.7"
Large: Width 1.3" Length 4.3"
Posted On 10/09/16 by Marianne H from Prospect Heights, IL Yes, Marianne H recommends this product! These little socks are so adorable! Chloe, my 5 pound Yorkie loves them now that the weather is turning a little cooler at night and her little paws are cold. Posted On 12/28/15 by michelle h from Sacramento, NM Yes, michelle h recommends this product! These are adorable and well made. Might get some getting used to for my chihuahua. She does the stupid walk then freezes and won't move. Keep trying. Posted On 02/23/15 by Samantha S from Maysville, NC Yes, Samantha S recommends this product! I had never heard of BaxterBoo but just found them online when searching, and I had a very great experience with asking a couple questions I had about a product. They were prompt and I placed my order shortly after!